Hendrik Verwoerd created South Africa’s policy of racial segregation known as apartheid. As prime minister in the early 1960s, he followed racist policies that deepened the divide between whites and blacks. Born in the Netherlands, Verwoerd moved with his family to SOUTH AFRICA when he was two years old. His father, a grocer, was a missionary for the Dutch Reformed Church. After completing high school, Verwoerd went to Germany to study at universities in Hamburg, Leipzig, and Berlin. Returning to South Africa in 1927, Verwoerd became a professor of psychology at the University of Stellenbosch. Later he held professorships in sociology and social work. He and others at the university opposed South Africa’s plan to take in Jewish refugees from Nazi Germany. In 1937 Verwoerd became editor of the Afrikaans-language newspaper Die Transvaaler, which he used to express his anti-British, anti-Jewish, and pro-Nazi views. Verwoerd joined the racist National Party and, in 1948, became a member of the Senate. He was the party’s leader in the Senate for eight years and served as minister of “native affairs.” During this time he devised the policy of apartheid, calling for total segregation of all races in the country and restricting the black population to reservations known as Bantustans. 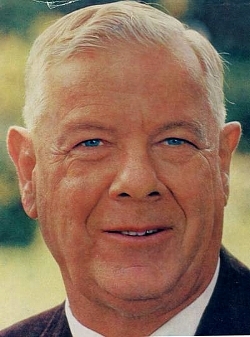 In 1958 Verwoerd became prime minister. Apartheid increased tensions between blacks and whites, which led to various organized protests. In 1960 police fired on 5,000 peaceful protesters in Sharpeville, a black township south of JOHANNESBURG, killing 69 and wounding over 300. Shortly afterward a white farmer tried to assassinate Verwoerd at an agricultural show in Johannesburg. Verwoerd was wounded, but survived and made a full recovery.